A landlord has a duty to use reasonable and ordinary care to keep common areas of the premises in a reasonably safe condition and free from obstructions. 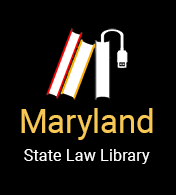 Most Maryland cases recognizing this duty have involved injuries resulting from physical defects in the premises, but the rule extends to apply to injuries sustained by tenants as a result of criminal acts committed by others in the common areas within the landlord's control (Scott v. Watson, 278 Md. 160 at 166, 359 A.2d 548 (1976)). The definition of “reasonable care” depends on the circumstances and may depend on the landlord's knowledge* of the defect (or criminal activity) on the premises. In Scott v. Watson, the court said that if "the landlord knows, or should know, of criminal activity against persons or property in the common areas, he then has a duty to take reasonable measures, in view of the existing circumstances, to eliminate the conditions contributing to the criminal activity." The landlord can be held responsible if his failure to take steps to protect tenant security "enhanced the likelihood of the particular criminal activity which occurred." Although it is a landlord’s duty to keep common areas of the premises in reasonably safe condition, if a landlord can establish that damage to a common area of the premises was due to a “tenant or tenant’s family, agents, employees, guests or invitees in excess of ordinary wear and tear” to the common area, the tenant’s security deposit or any portion of the deposit may be withheld for that damage.